Growing up my biggest fear used to be that I would die. Not exactly death itself. What really horrified me the most was the thought that it was really over. That nothing would happen once I die. I was also terrified of losing loved ones and never seeing them again. At the age of 18 I stumbled upon a book by Brian Weiss called “Many Lives, many Masters” and that changed my perception of everything and gave me hope. What are past lives and past life regression? Brian Weiss used to work as a traditional psychotherapist in the US, having graduated from Columbia and Yale University, and working with Hypnosis in many of his sessions to bring his patients back into early childhood traumas to remember and heal what needed to be healed. One day, however, he regressed a woman back into what seemed to be a past life of hers by accident. She started recalling past life memories and traumas that seemed to hold the key to her current anxiety attacks and nightmares. She had been in treatment for many years but with not much success until she was brought back to that past life and she finally understood where her anxiety attacks came from and was able to heal. Brian Weiss initial scepticism around past lives had quickly vanished after this incident and since then he has been writing many books and publishing his case studies of remarkable past life regression sessions he has had. 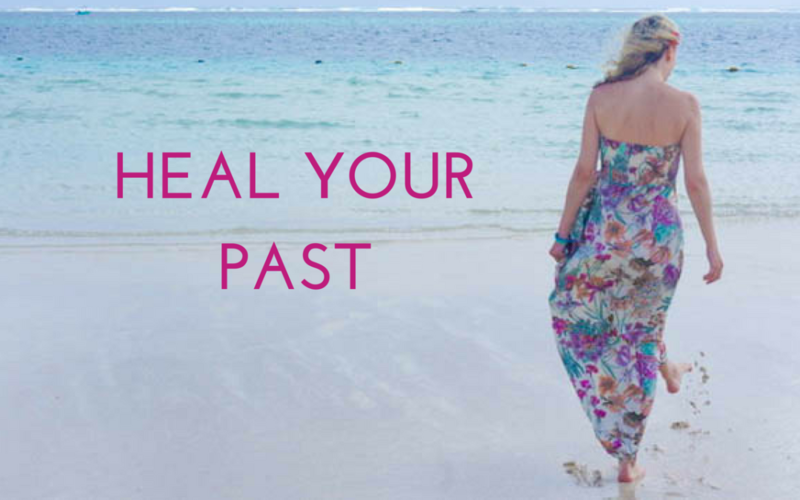 Healing Fears and Phobias with past life regression Working with energy healing methods such as Reiki, I developed a strong intuition when working with clients, and many times I would see flashes of past lives during treatments. I was also able to regress my clients during treatments so they would be able to see their own past lives. One client of mine had a huge fear of driving cars. He had never wanted to learn to drive cars and didn’t know why. When I saw the past life it became clear: He had died in a dramatic car accident and had “killed” his wife and three kids. Nowadays he drives cars without any problems. Another client of mine is writing a book. She came for a Reiki treatment and I saw a past life where she was a hardworking, poor, African woman, who was pregnant and carrying heavy loads on top of her head. Because of that she lost the baby and got expulsed by her husband and the village, dying all alone in the desert. When I told her about what I had seen, she told me that she had written this same episode in her book. I told her she was remembering her past life and was writing it down. What she thought was a novel, was in reality her soul remembering her past life traumas and trying to heal it by writing things down. Another client leads five lives in one. She feels she wants to experience so many things and is always scared that life is too short to experience everything. When she was brought back to a past life, she was seeing a scene around 1800 and where she was run over by a horse carriage. She was staring at her dead body as a spirit and didn’t know what to do. I directed her towards the light but she refused to go. So I brought her back to one day before the accident to understand who she was. She saw herself working for a rich family serving their food. She was still young and hadn’t even started enjoying her life and experiencing the things she wanted to experience. When she died, she felt she died too young and thought it was unfair. She continued to refuse to go the light, being scared of having to come back again to earth and to experience everything from scratch. I told her she could go to the light and for sure she would be resting for a while “up there” in peacefulness. That’s when she agreed to finally leave and go to the light. Past lives and karmic relationships We often reincarnate with the same people, just in different constellations. Who is your husband/wife in this life, could have been a son/daughter or a brother in a previous life. I see many past lives where my clients got killed or wronged by someone who I would identify as someone who is present in his/her current life. And they would always agree that with that person they had a very difficult relationship. If you find yourself in a relationship or marriage that feels very heavy, yet you are unable to leave each other, most of the times you are experiencing a karmic relationship. And most likely either you or your partner have wronged one another in a previous life. We come back here in different constellations and will experience karmic relationships so we can let go of the karma. It involves a lot of forgiveness work to move on. We can also have karmic relationships with our mothers, fathers, siblings or friends. The law of cause and effect states that everything happens for a reason and that all our actions have consequences and will cause a specific result or outcome. Therefore, whatever we wish upon others, whether good or bad, will have an effect and causing us to receive something good or bad in return. When past lives ended badly, the law of cause and effect will follow you into all your next lives until this issue has been resolved. I have a client who fell in love with a man, but who was so scared to commit. She would break up all the time and suffer a great deal until they would get back together, only to feel even more fears. After a few sessions we saw a few past lives. All revolved around either her dying or him dying, thus abandoning each other life after life. The fear was deep rooted and once she recognised the pattern she was able to slowly release the fear and enjoy being with him. Another female client had a series of bad luck when it came to men and staying in a long term relationship. She never allowed herself to fall in love. We then saw a few past lives where she had been married to someone she hadn’t loved and wasn’t allowed to be with the man she was actually in love with. In one of these lives she made a strong affirmation: “I will never love again!” She admitted that even in this life she used this affirmation often. In fact, this affirmation has been hunting her in many lives for she doesn’t allow her heart to feel love again. Once we discovered these past lives she understood that if she wants to experience love, she will have to let go and heal these past lives, as well as stopping to use such strong and negative affirmations. I could go on and on with case studies about past lives. However, I strongly recommend reading Brian Weiss “Many Lives, Many Masters” instead who just like me believes that with past life regression you can “heal—and grow—your mind, body and soul, as well as strengthen your present-day relationships.” If you are interested to know more about past lives and how it can help you in your situation, you can contact me here for an initial 20 min free consultation.